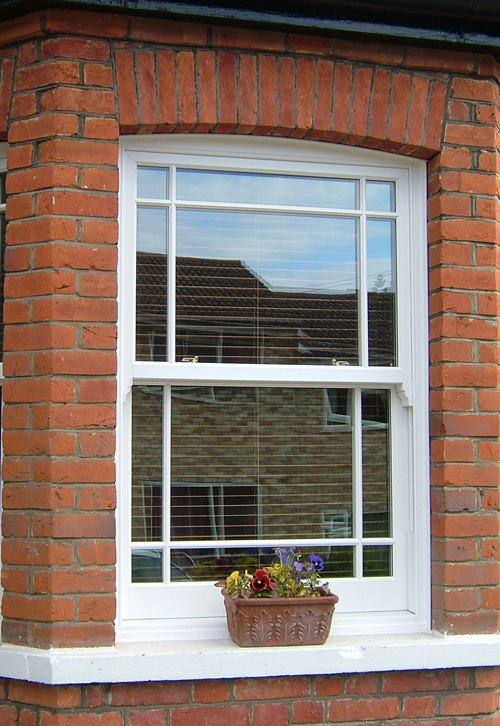 Vertical sliding sash windows are available with traditional counter-balance weights and hung on sash cords or chain (box sash). 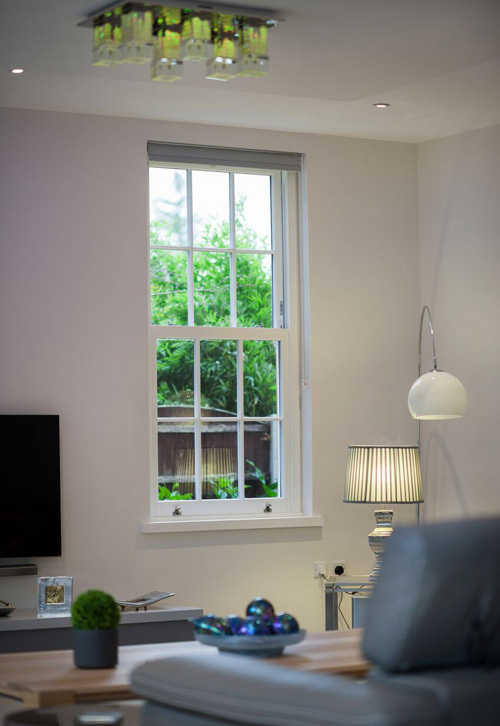 Alternatively, they are available fitted with spring balances that are ideally suited for use in present-day buildings, where there is insufficient rebate to house traditionally weighted box sash windows. 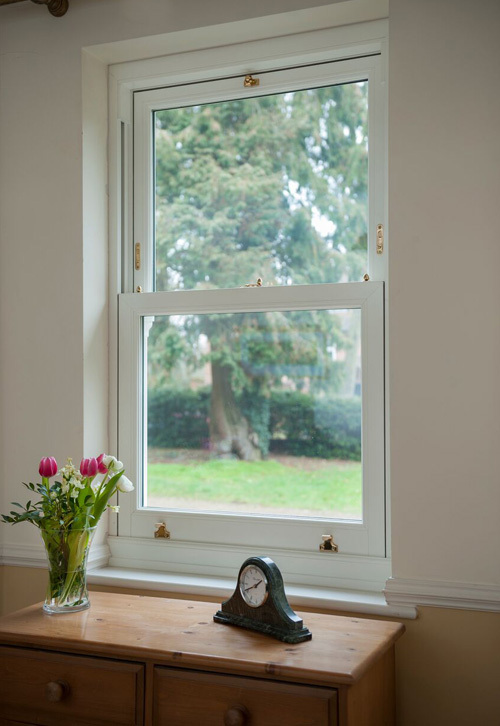 The aesthetics however are in keeping with those of traditional sash windows. 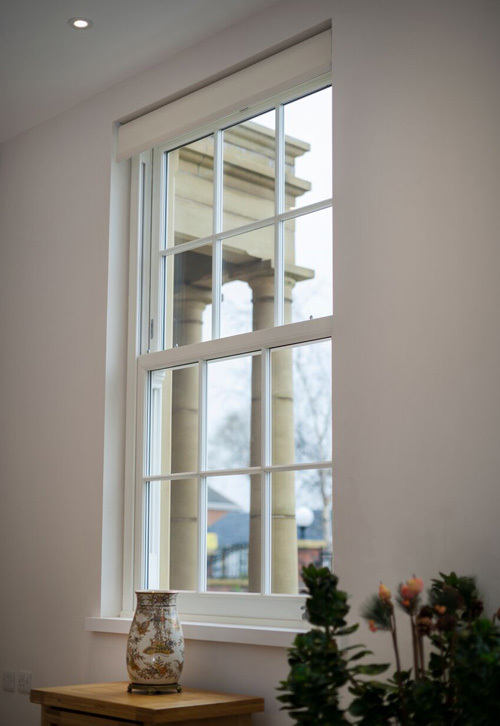 Special features of our vertical sliding windows include slim meeting rails and glazing bars in addition to energy efficient glazing that provide a high degree of insulation. 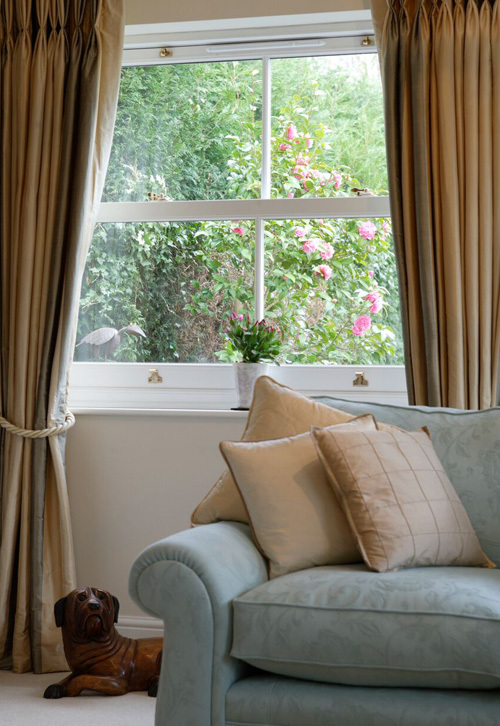 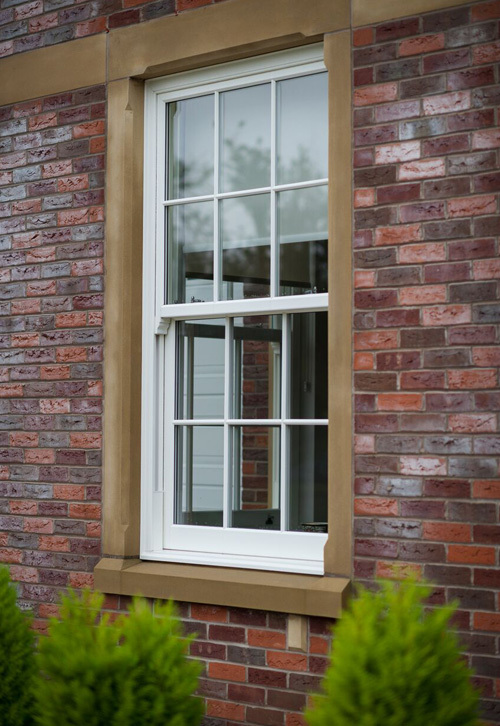 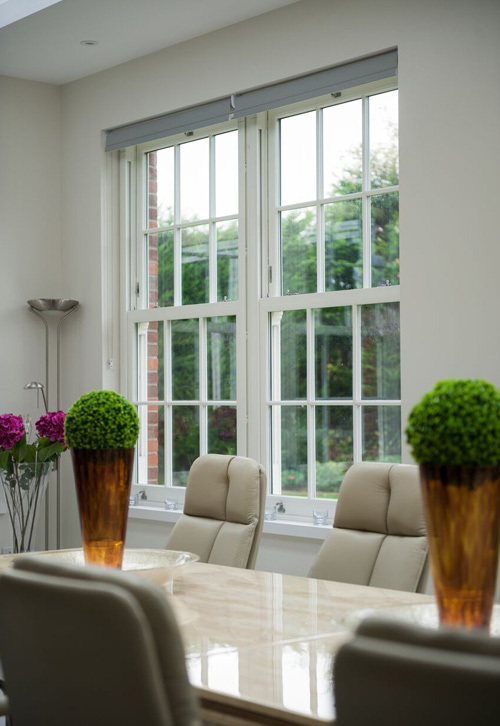 Glazed with energy efficient glass our vertical sliding sash windows are energy efficient providing a high degree of insulation and noise and draughts are eliminated by weather stripping. 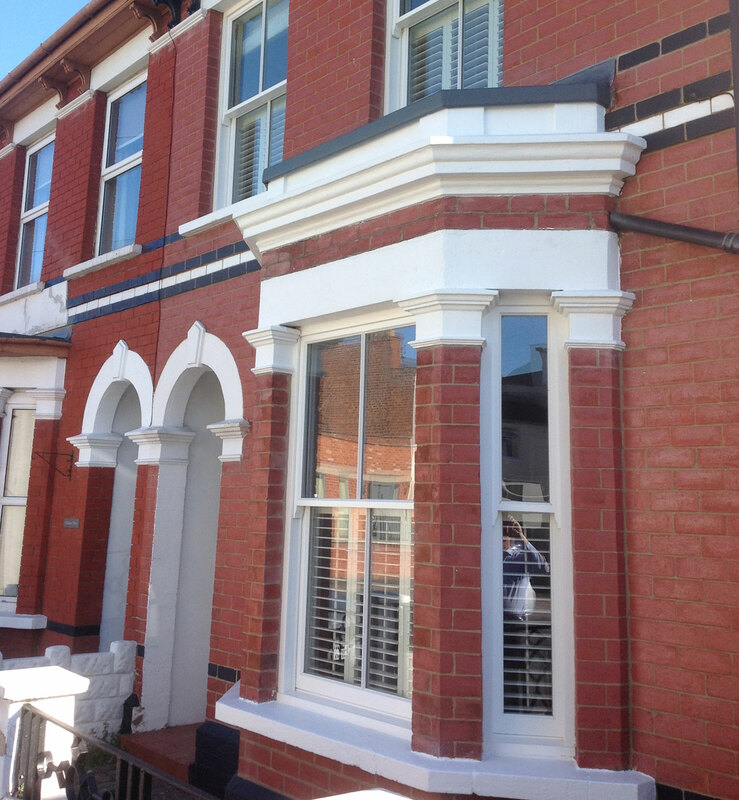 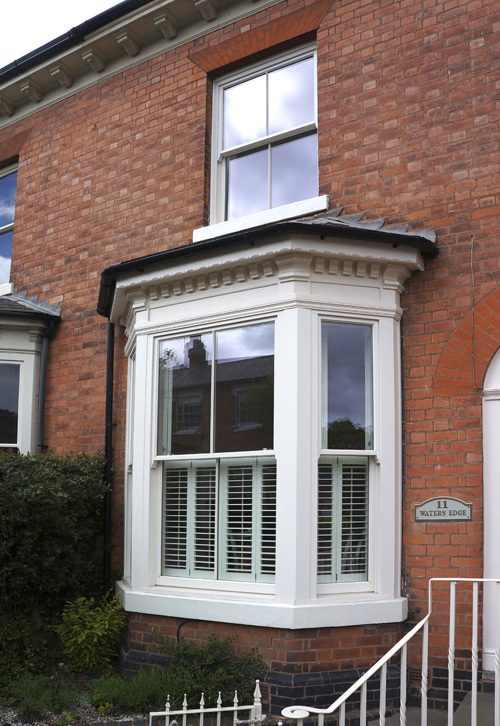 Our sash windows are available in a wide range of colours.